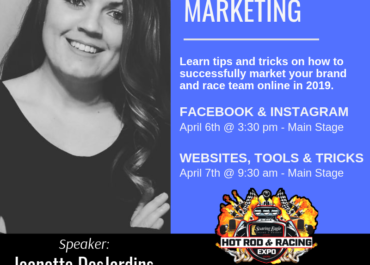 Crank It Media Founder and President, Jeanette DesJardins will take the main stage at the Hot Rod & Racing Expo to talk about motorsports marketing and how businesses, race teams and brands can stay ahead of the competition. 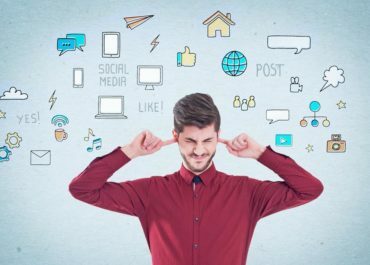 On Saturday, April 6th at 3:30pm, Jeanette DesJardins will provide insight on major changes coming to Facebook and Instagram in 2019, how you can stay relevant in this forever changing arena and tips on how to grow your following, engagement and conversions. During the Sunday Session at 9:30 am, Jeanette DesJardins will break down what makes a great website, how to combine your website and social media efforts to grow your presence and tools and tricks to help you be successful. This will be two days you won't want to miss! Both of these educational motorsports marketing sessions are FREE to all Hot Rod & Racing Expo attendees! For more information on Hot Rod & Racing Expo and to purchase discounted tickets in advance, visit the Hot Rod & Racing Expo website. Jeanette is a fantastic speaker! Her passion for motorsports and marketing shine through her presentation.